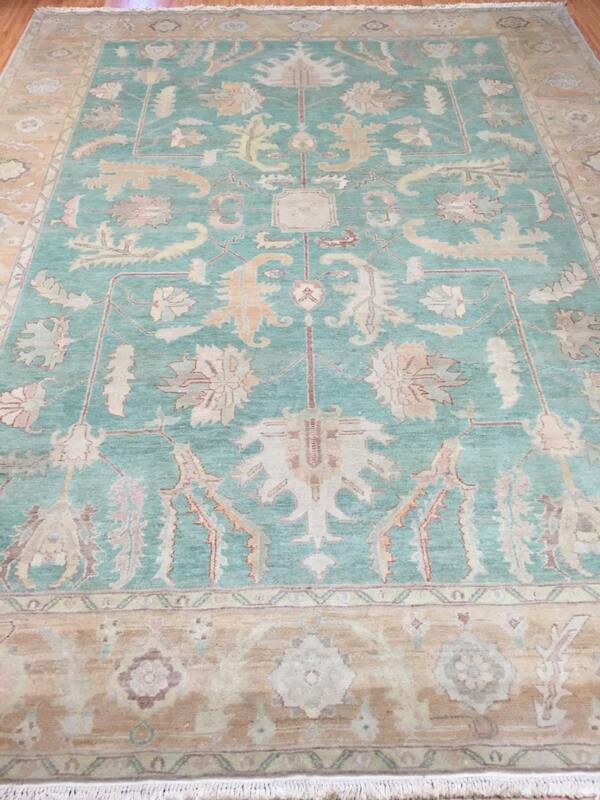 Actual Size: 8'3" x 10'8"
This Oriental rug is a gorgeous brand new 8'3" x 10'8" fine Egyptian with an antique look. 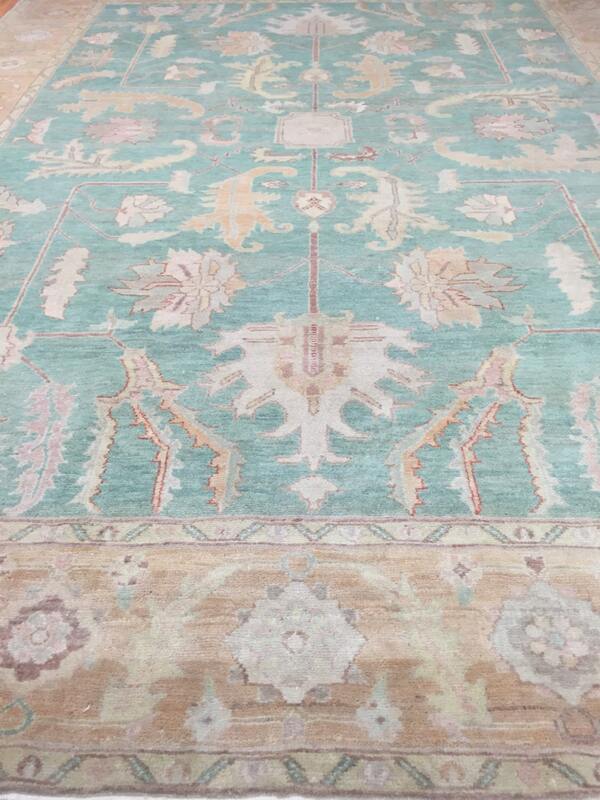 This hand made Egyptian rug is made with 100% wool using vegetable dye. 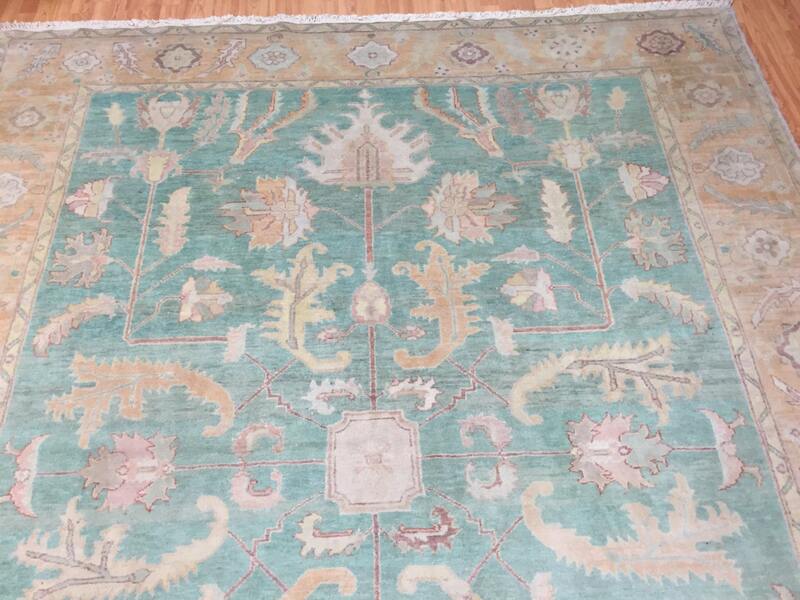 This rug is made to look old, however is brand new. Egyptian rugs are the weaves, carpets, and textiles that have been traditionally hand-woven in Egypt. Rugs have been woven by the indigenous people of Egypt since the time of the Pharos. Traditionally, Egyptian rugs have been woven by tribal peoples for their utility rather than for decorative purposes. Twentieth-century Egyptian rugs are widely collected in the West, and are almost always woven by tribes people who do not seek nor possess formal artistic training. Egyptian rugs experienced a growth in popularity in the West with mid-century modern designers – such as Le Corbusier – who paired the thick piled Berber rugs with their sleekly designed furniture. Many of these Berber carpets are woven by the Beni Ourain peoples from the Rif Mountains near Taza. Colors vary from neutral shades to popping hues, with designs ranging from ordered geometric shapes to a more free-form, expressive pattern. Part of the appeal to the modernists was the primitivism in the carpets. 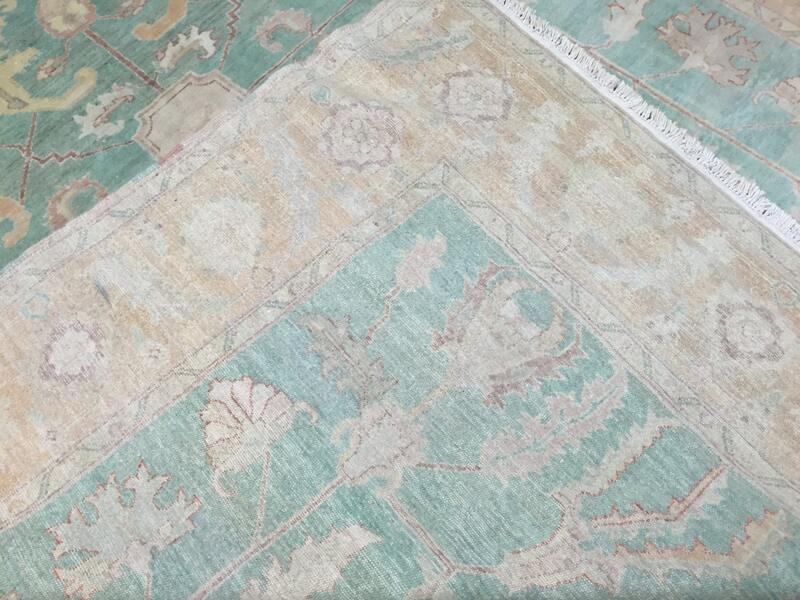 Unlike the traditional antique Oriental rugs found in Western interior decoration, there is little elegance about these rugs, yet they fit wonderfully with modernist décor. 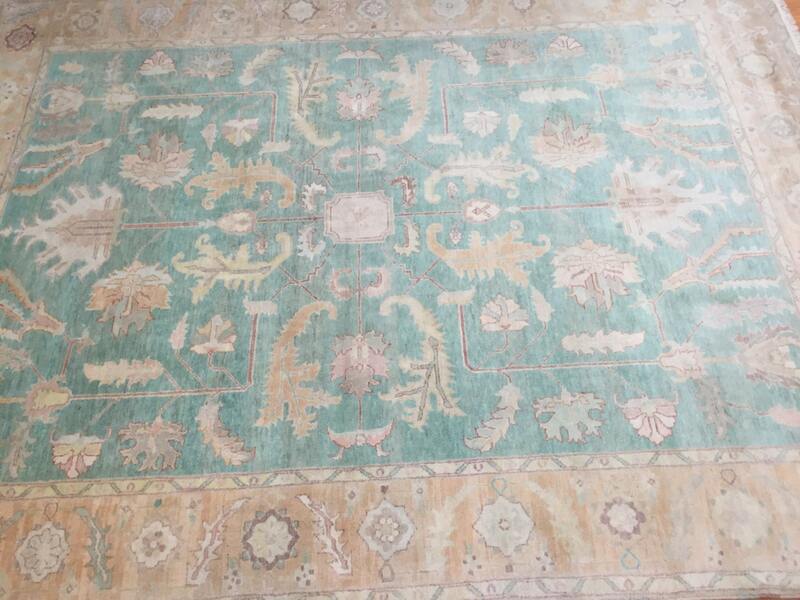 Vintage and antique Moroccan rugs are fairly popular today for their decorative flexibility and reasonable pricing as compared to other styles of antique rugs.